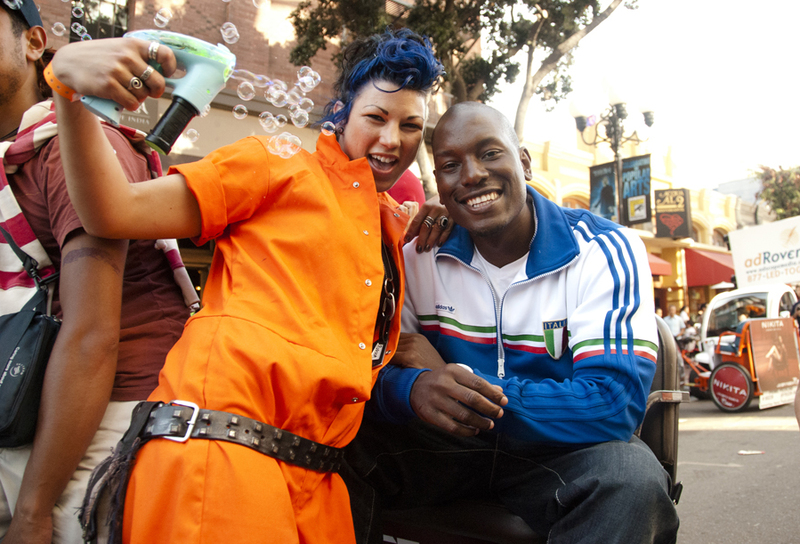 Meeting Tyrese Gibson was probably one of my most frustrating moments as a photographer. Tyrese popped up out of nowhere while I was busy photographing the Adult Swim staff passing out Ben & Jerry’s for fans. At the time I had the wrong lenses mounted on my cameras (my 50mm prime and 80-200mm lenses) and was just experiment with different angles. I wasn’t expecting anything like this to happen. I was still a star struck photographer at this time so I panicked, I didn’t know how long Tyrese was going to be in the area and was desperate to add him to my portfolio. Out of the hundred or so photos of him, the majority of those shots were wasted on awkward crops or, blown out exposures, or boring group shots. Dude was on the move, working the crowd and passing out his promotional comics. As soon as I snapped on my 18-200mm lens, progress was made. Another important aspect of being an event photographer is your anticipation of a moving subject and your ability to get in their face and grab their attention. What made this experience worthwhile was my ability to get through the fans that swarmed him. I was also able to grab his attention during his interactions, effectively isolating him in my frame from random Joe Shmoes. The trick with photographing celebrities is that you have to make those moments count, you shouldn’t expect to spend a full day with them. Hell, even 10 minutes with them would be a luxury. So you have to make your movements and shots count. Alternating angles, distances, and diverting attention are qualities that I deem necessary for interesting photos. 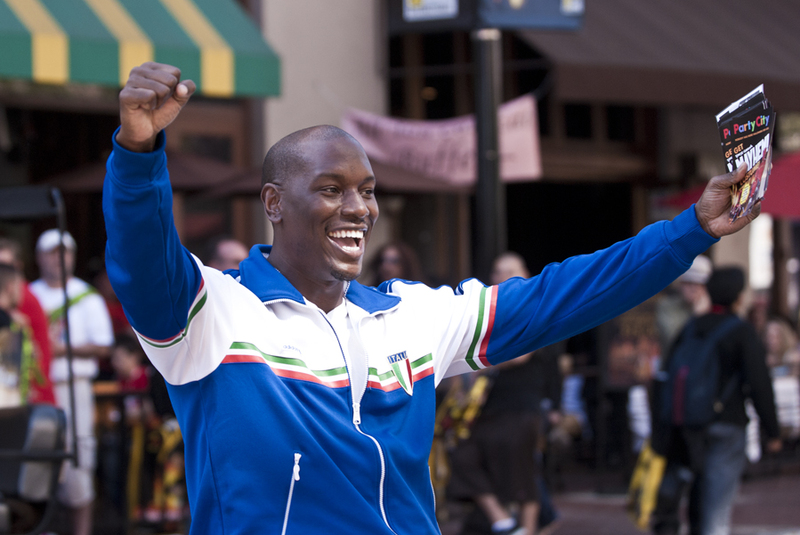 I didn’t need to take too many of Tyrese to be satisfied, the featured photo and the one below are my favorites. The woman in the first picture is a friend of mine, Megan Pagoda, who was one of the staff members that year. She creates clothing and accessories for the rave lifestyle, and her bubble gun is her signature piece. 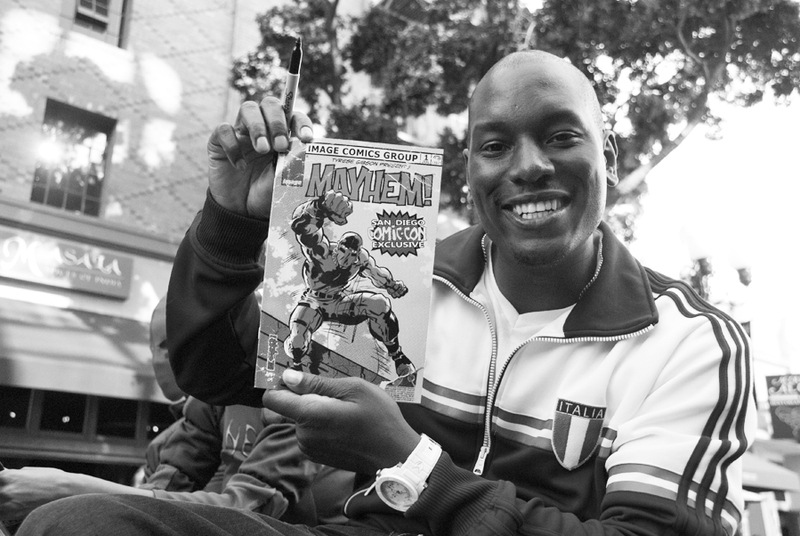 The black and white was obtained right as he was about to sign the comic for a fan. I felt these two were of the more intimate photos I captured, setting it apart from the paparazzi feeling shots. Before I left to return to my post, I managed to ask him about his Black Rose album. He shrugged and told me it was still a work in process. Wikipedia says that sucker still isn’t due to drop till 2014. Freaking hurry up Tyrese.